A Crawley teenage girl was among those arrested during a drugs operation at The Level in Brighton over two days. A 15-year-old Hove boy and the 16-year-old girl from Crawley were arrested by police officers on suspicion of being concerned in the supply of cannabis and burglary with intent to steal and a 16-year-old girl, from Brighton, was detained on suspicion of burglary with intent to steal on Thursday (August 16). They were questioned and released under investigation. 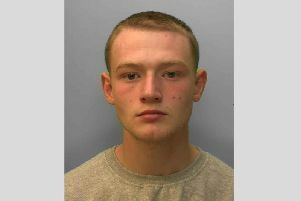 On Friday (August 17) a 23-year-old Brighton man was arrested after he ran from police officers through the children’s play area at The Level. He was detained on suspicion of possession with intent to supply cannabis after a large quantity of the drug worth several hundreds of pounds was seized (pictured) along with cash and other drugs paraphernalia. He was also arrested on suspicion of possession of heroin. He has also been released under investigation. You can report suspicious behaviour or drug dealing at our website or ring 101.